A Dutch physicist, Heike Kamerlingh Onnes was the pioneer of refrigeration techniques studying how materials behave when they are cooled to almost absolute zero temperature. He was the first person to liquefy helium and discovered superconductivity as a result of his cryogenics experiments. Heike Kamerlingh Onnes was born on the 21st of September in 1853 and was a native of Groningen in the Netherlands. Harm Kamerlingh Onnes, his father, owned a roof tiling factory near his birth town. Anna Gerdina Coers, his mother, was an architect’s daughter from Arnhem. The eldest of three children, Heike had two siblings, a younger brother Menso, who became a well-known painter and a younger sister Jenny, who married the famous painter Floris Verster. Heike was educated at the local Hoogere Burgerschool which did not study classical languages. So, after spending the required time for secondary school, Heike obtained supplementary education in Latin and Greek from Leyden J.M. van Bemmelen who later also became his Chemistry professor. Heike enrolled at the University of Groningen in 1870 to study physics where he worked on obtaining the “candidaats” degree. In 1871 his outstanding skills in solving scientific problems were made obvious at the young age of 18. That year he received a gold medal for winning a competition held by the University of Utrecht’s Natural Sciences Faculty. The following year he received a silver medal from the University of Groningen. After a year of studying at the University of Groningen, Onnes proceeded to Heidelberg where he furthered his education for two years, studying under Robert Bunsen and Gustav Kirchhoff. Onnes then returned to Groningen, passing his doctoral exams in 1879. A year later, he obtained his doctoral degree with his thesis the “New Proofs of the Rotation of the Earth”, concerning the influence of the earth’s rotation on a short pendulum. Onnes became interested by the gas laws of Johannes Diderik van der Waals. In 1880 van der Waals published his equation to explain the behavior of all real gases. This work fascinated Onnes and he developed an interest in the behavior of gases in extreme conditions. While Onnes was still working on his doctoral degree, Onnes became an assistant at the Polytechnicum in Delft. In 1881 he became a lecturer there and carried out research work. His first research paper investigating “General Theory of Liquids” was published. Onnes made improvements to the Physical Laboratory which is now named after him, called the Kamerlingh Onnes Laboratory and he founded a large cryogenic laboratory. This would help him verify the ideas of Van der Waal about corresponding states of matter in relation to the temperature they are being subjected to. Onnes spent many years perfecting cryogenic experimental techniques and researching fluids and metals at low temperatures. In 1906 he designed and built an improved hydrogen liquefaction machine and in 1908 he succeeded in liquefying helium. He was able to bring its temperature down to only 1.7K (-271.3°C) which was the nearest temperature anyone had come to absolute zero (0K). Helium gas thermometers were used to measure the extremely low temperatures. Onnes was awarded the Nobel Prize in Physics for his work in 1913. In 1926 in the same laboratory, Willem Hendrik Keesom, a previous student and then successor as director of the Kamerlingh Onnes Laboratory, successfully solidified helium. Several years were spent improving the apparatus so the properties of liquid helium could be investigated. By 1911, a helium cryostat was established which could maintain the extremely low temperature so investigations could begin. It was already known that electrical resistance of metals decreased as the temperature was lowered. Working with mercury, with an extremely pure sample, Onnes discovered zero electrical resistance for mercury at liquid helium temperatures. This “superconductivity” phenomenon was also observed in some other metals such as tin and lead. Onnes married Maria Adriana Wilhelmina Elisabeth Bijleveld in 1887 and they had a son, Albert who became a civil servant at The Hague. 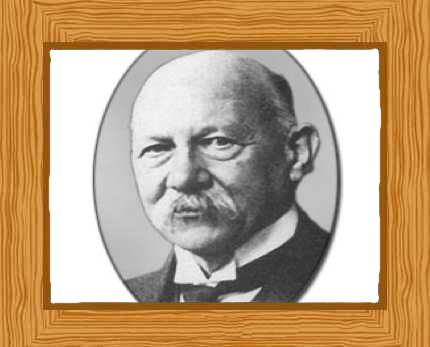 Kamerlingh Onnes died in Leiden on February 21, 1926, aged 72.